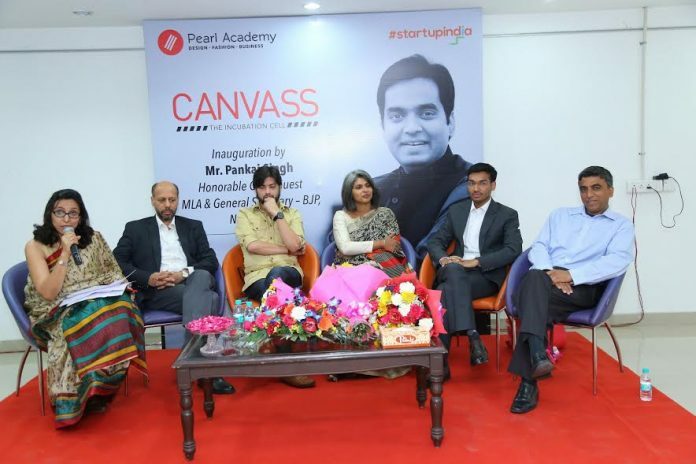 New Delhi: Pearl Academy, India’s leading institution in design, fashion and creative business announced the launch of a unique initiative, ‘Canvass’- the Incubation Cell. This platform will provide students and alumni an opportunity to nurture their business ideas and bring them to fruition. Situated in Noida Campus of Pearl Academy, ‘Canvass’ aims to provide an ecosystem that will foster and support innovation, creativity and knowledge based entrepreneurship amongst alumni and students of Pearl Academy. Shri Pankaj Singh, MLA & General Secretary BJP, Uttar Pradesh inaugurated the incubation cell. The dedicated 625 sq. ft. facility will provide fully equipped work stations along with wi-fi, meeting rooms, storage space for resources and access to facilities such as laboratory and library. Apart from providing this vital infrastructure, Pearl Academy will also provide mentoring to its alumni through workshops, online modules by domain experts and strategic networking with investors to make these ideas – a business reality. The center is also designed to provide funding assistance to budding entrepreneurs through interactions with angel investors, seed funders etc. To encourage the spirit of entrepreneurship amongst students, Pearl Academy hosted two panel discussions on topics such as ‘Bridging the gap between academic & startup requirements, better startup culture & responsible entrepreneurship’ and ‘Changing length & breadth of Indian economy and entrepreneurship as a new game’, with industry experts from Sheroes, ispirit ,Innov8 as well as representatives from StartUpIndia. The discussions touched upon various critical aspects of nurturing and building up a startup enterprise. The knowledge sharing sessions were well received by budding entrepreneurs. 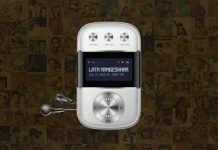 Commenting on the launch of this initiative Nandita Abraham, CEO Pearl Academy said “With the constant growth of design industry in India, more and more young designers are turning entrepreneurs. As educators, our role has also assumed a bigger responsibility by not just believing in their bold ideas, but also to take a step ahead and provide support to fuel our students’ growth as entrepreneurs. I am sure that this initiative will provide critical support and help to our young budding entrepreneurs to transform their innovative and ingenious ideas into a reality. Sharing his thoughts Shri Pankaj Singh MLA & General Secretary BJP, Uttar Pradesh said, “India being a young nation needs more and more initiatives that encourage youth to become self-reliant. The inauguration of the ‘Canvass – Incubation Cell’ is a step in right direction by Pearl Academy. I congratulate them for having a vision to empower the young creative minds that will go a long way in supporting and realizing the dream of StartUpIndia.